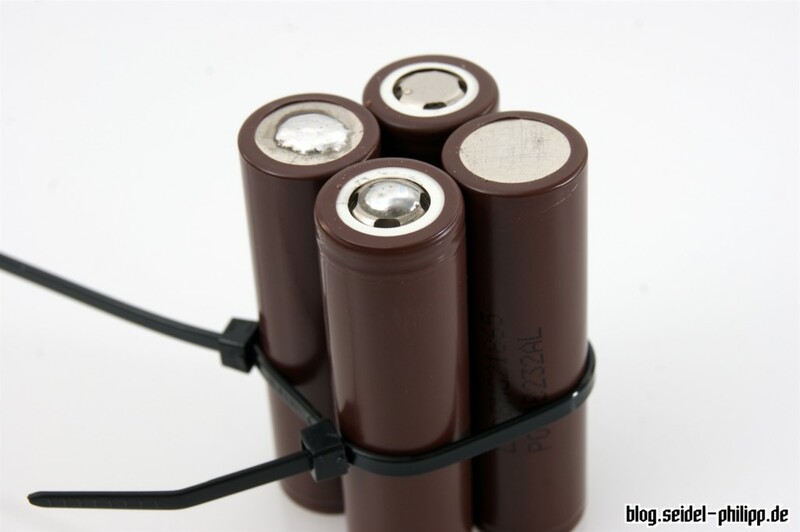 18650 Lithium ion cells can be found in almost every household and are certainly the most common rechargeable batteries available. 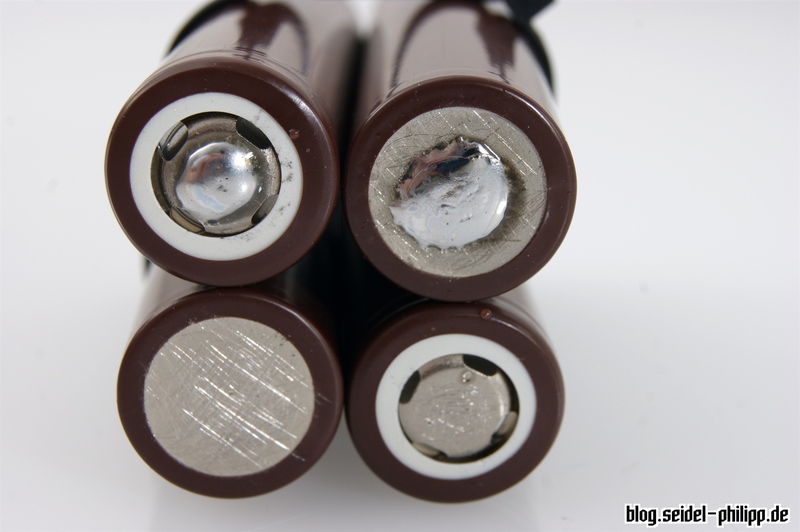 These cells can be found in e-bikes, razors, laptops, power banks and many other devices. I have been dealing with 18650 cells for some time now. 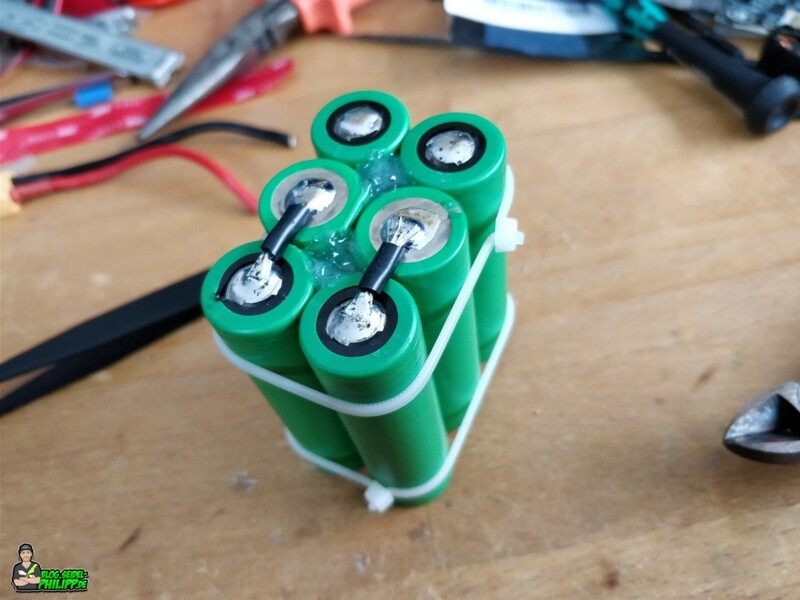 For example, I’m building an XXL field battery from recycled cells or have developed a DIY 18650 charger. There will be several hints/information/disclaimers in this article. They are marked in red. Please take them to your hearts. 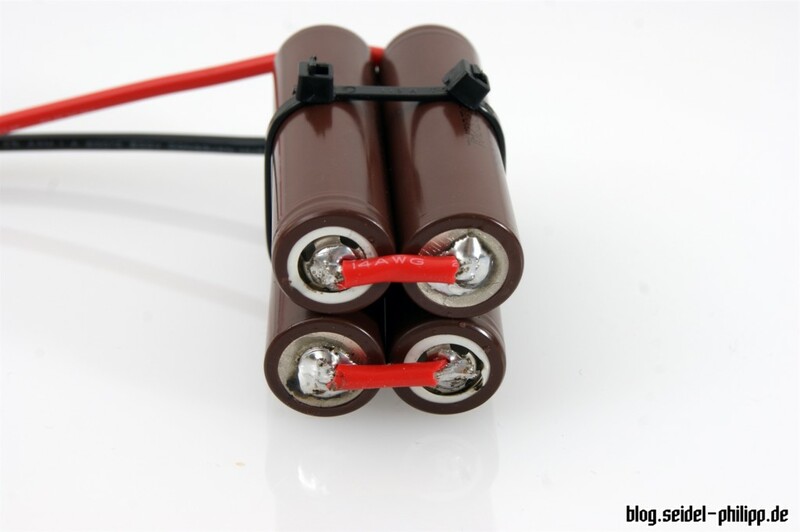 These batteries are sensitive to overcharging and deep discharging. They can usually emit less power than a LiPo, but have a higher energy density and are therefore ideal for long range „endurance“ batteries. 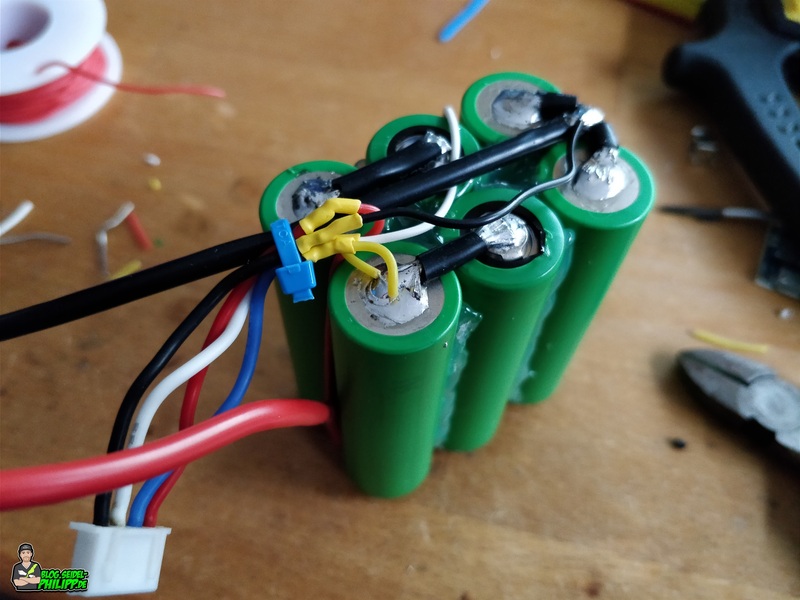 In the FPV community, these cells are already relatively well known. 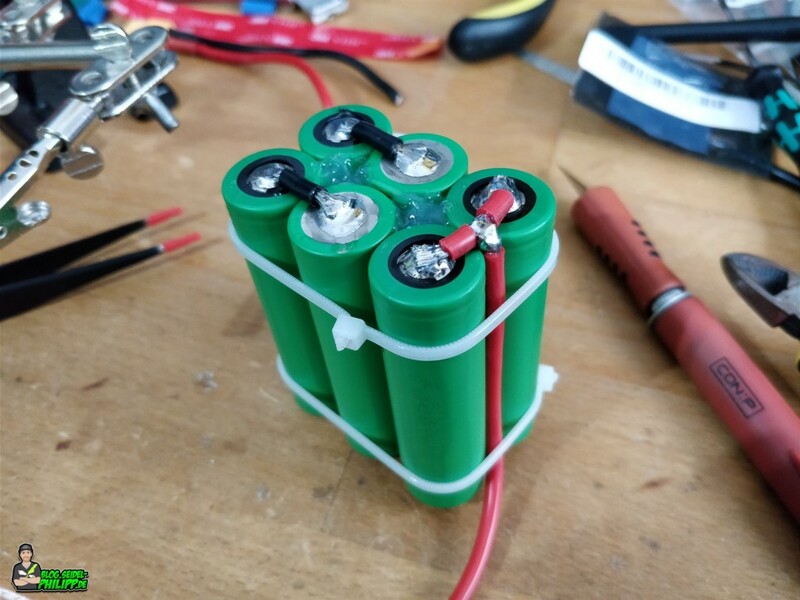 We use these cells as rechargeable batteries for our FPV glasses or remote controls. 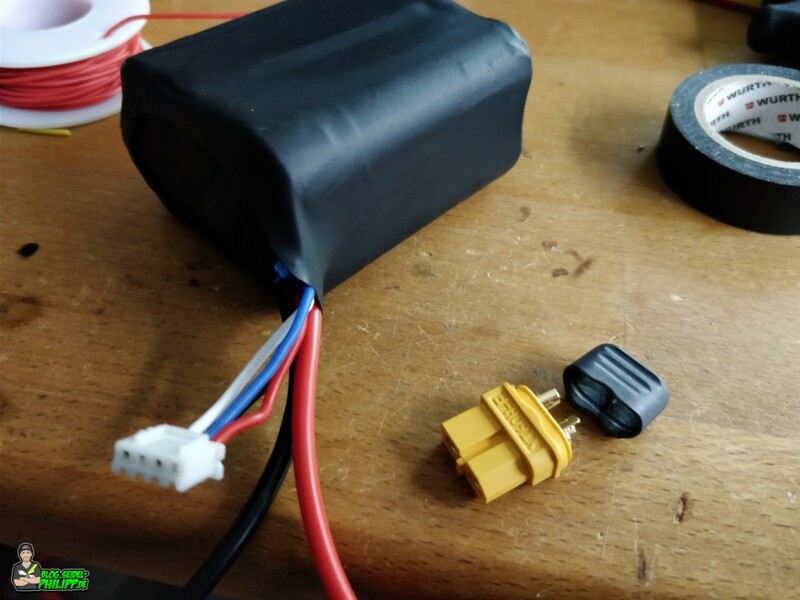 As with a LiPo, the charging stop voltage is approx. 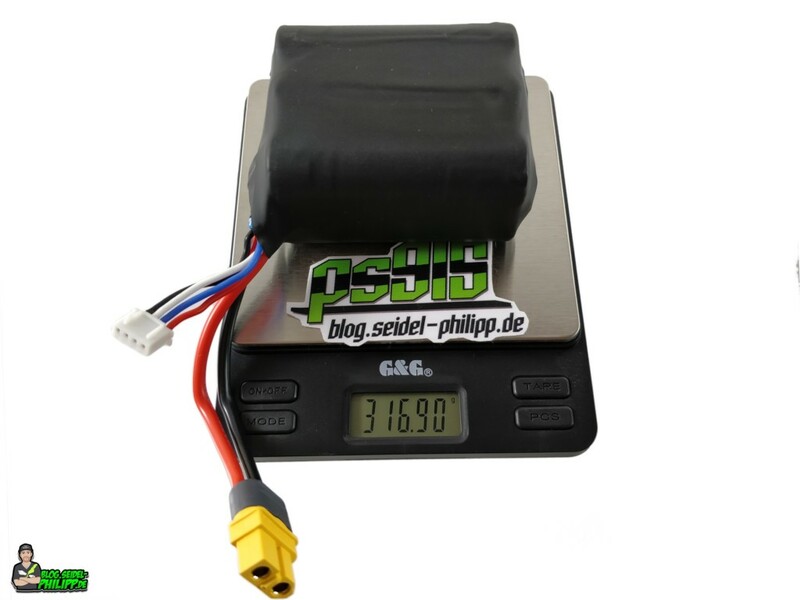 4.2 V. To charge the battery we can use a normal LiPo Balance charger like the iSDT chargers. 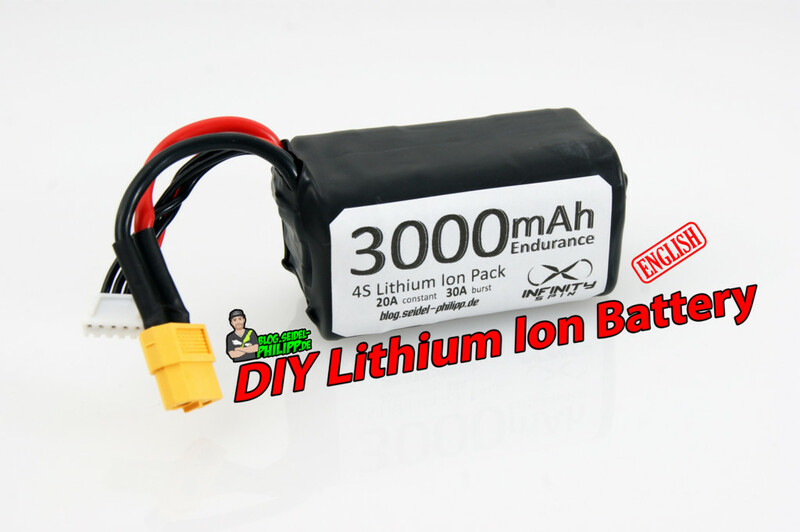 However, lithium-ion batteries can be discharged much deeper than LiPos. The lithium-ion batteries can be discharged down to approx. 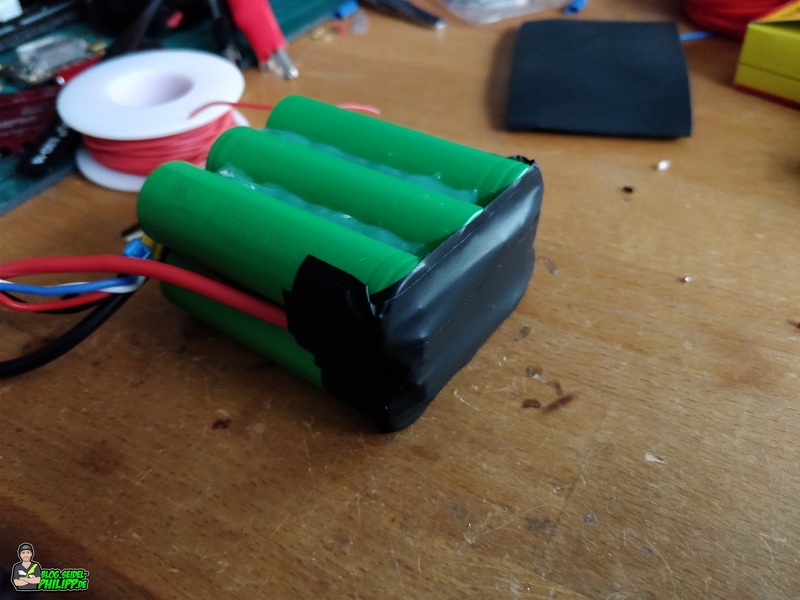 2.5 V. Of course, you should always plan on a residual capacity and not fly the battery completely empty. 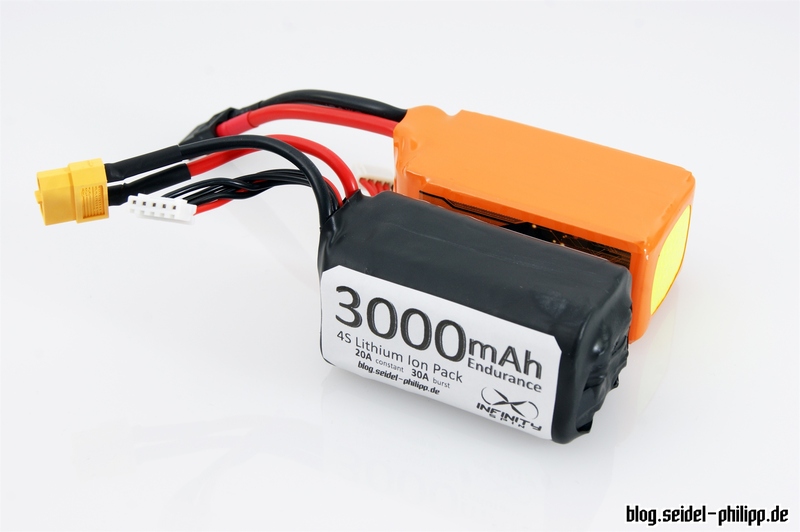 Due to their low weight, Lithium Ion batteries are often used for Long Range FPV Wings. Addendum: I would like to point out again that these batteries are not suitable for power-hungry setups. When using the 30 A cells, safety must always be taken into account. The long range setup should not consume more than 20-25 A, which is already quite a lot. If more power is needed, the cells should be connected in parallel. This naturally increases the weight, which in turn has to compensate the engines by more power. 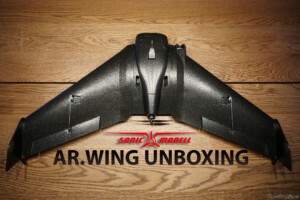 Flying with these cells is still in the testing phase, I would say. Always test the battery at while hovering (if you have a copter). Note also that depending on the current output, the cells voltage can go down differently fast. Below you will find a table with different Li-Ion cells and their properties. Info: According to the manufacturer, the first two cells have less amperage than the US18650VTC6, which is indicated with 30 A. The first two cells have less amperage than the US18650VTC6. 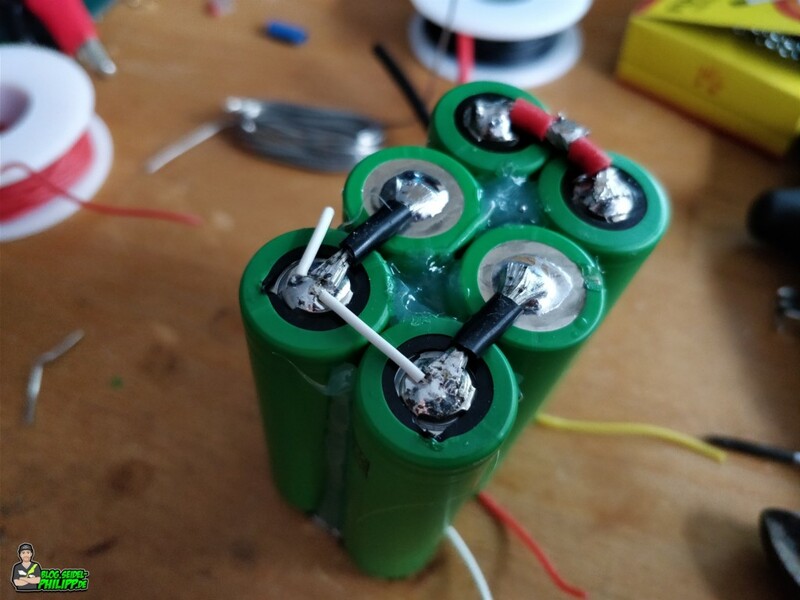 Please use the first cells only if you are sure that your battery is suitable for your model. 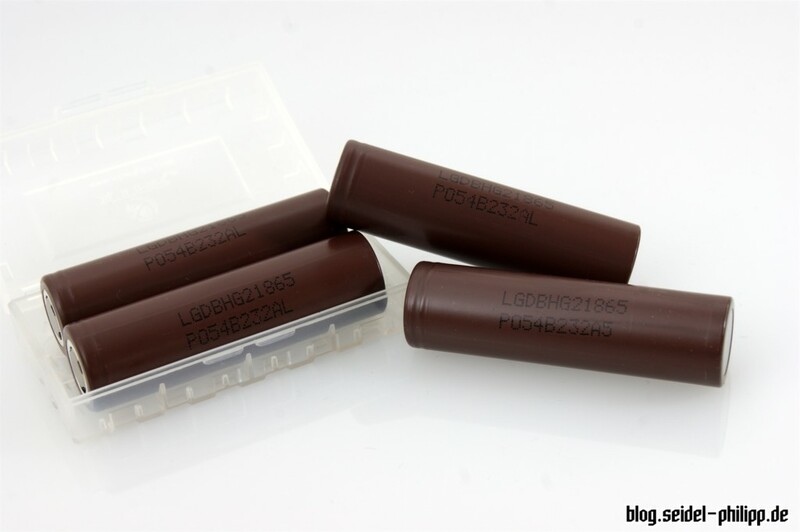 In case of doubt, the US18650VTC6 use cells that can really deliver up to 30A. *² normal charging process. Many cells can be charged much faster by „Fastcharge“. However, the cell’s shelf life decreases as a result. 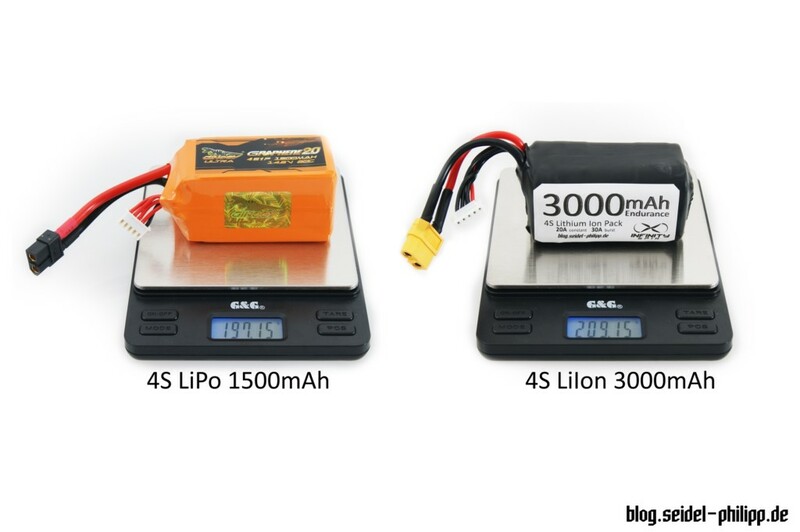 Lithium-ion batteries are wired in the same way as LiPos. 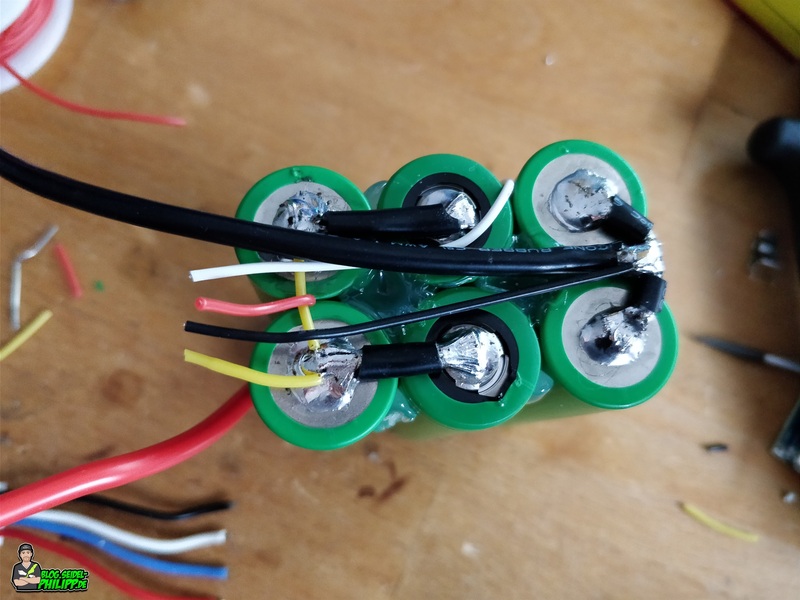 Make sure that the balancer connection is soldered correctly and that no short circuit occurs. 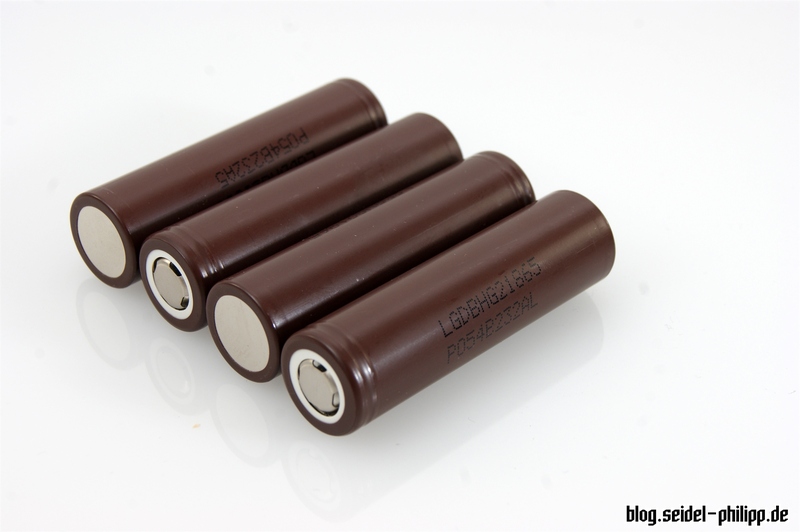 Here you can find two drawings for a 4S1P, 4S2P and 4S3P battery. 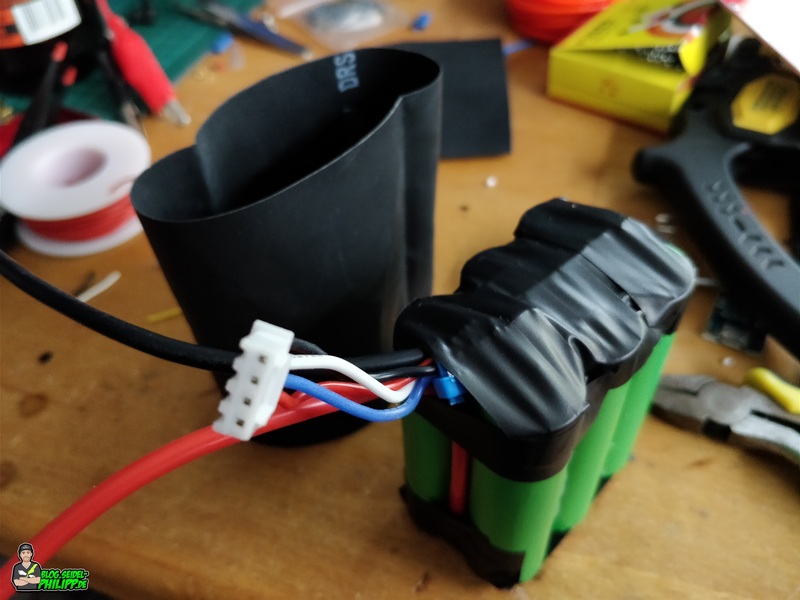 Below is a list of parts I use to build such batteries. This battery is used in my AR. 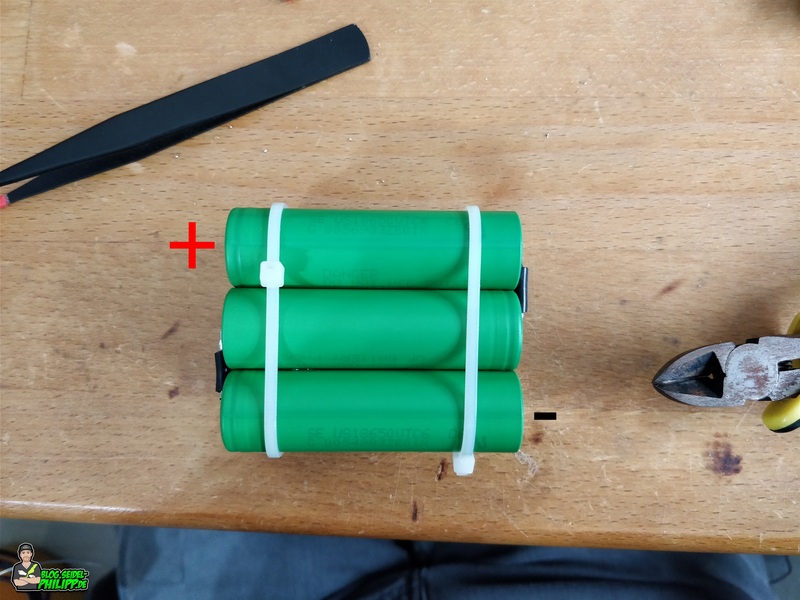 WING as a Long Range battery. Advance: Please rebuild this battery only if you know what you are doing. 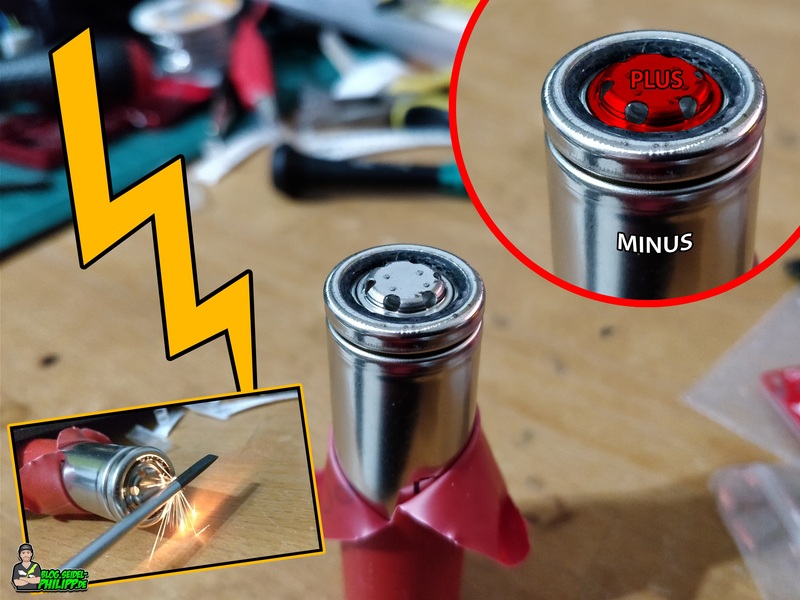 I am not liable for any damage caused by this post, if you solder something wrong or create a short circuit the battery may burns up in flames! If you solder the plus pole, be careful. Below the positive pole and around it is the negative pole. 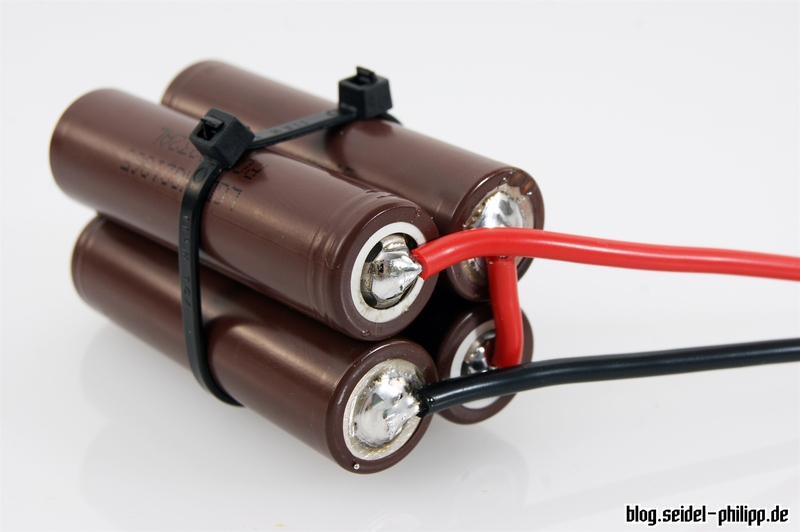 If liquid soldering tin produces a short circuit there, the cell will most likely become extremely hot and may explode under certain circumstances because it is a perfect short circuit! So, rather use a little less solder and be careful! Also, don’t solder too long on the cells. Take the largest soldering tip and about 450°C. The aim is to heat the contact surfaces very briefly so that the tin will melt away. When the cells become lukewarm, it is reasonable. They can’t get any hotter. To keep the cells together perfectly, I use hot glue and cable ties. Wherever 4 cells collide with each other, I also glued a long strip of 3M VHB into it and filled the two holes on both sides with hot glue. 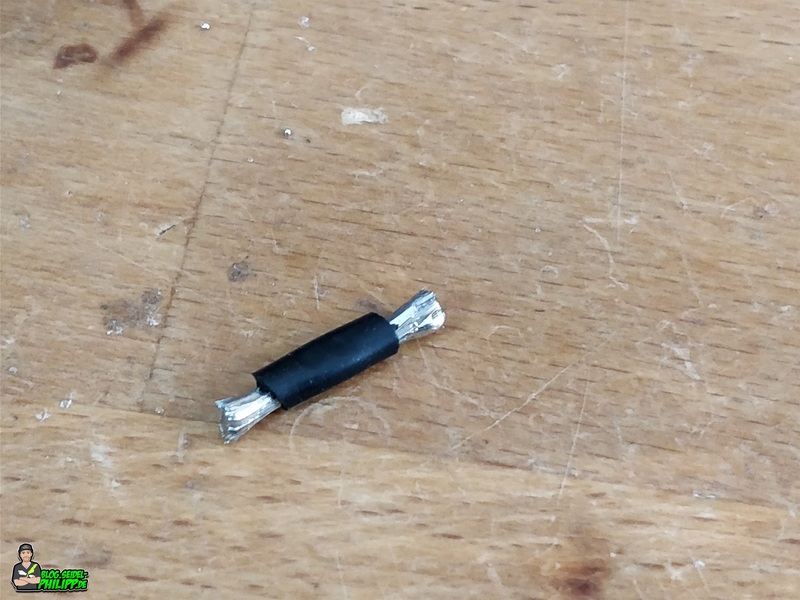 To connect the cells I have stripped a 17mm long cable and pre-tinned it with solder. I have scratched the contacts of the cells with a screwdriver, so that the solder holds better. 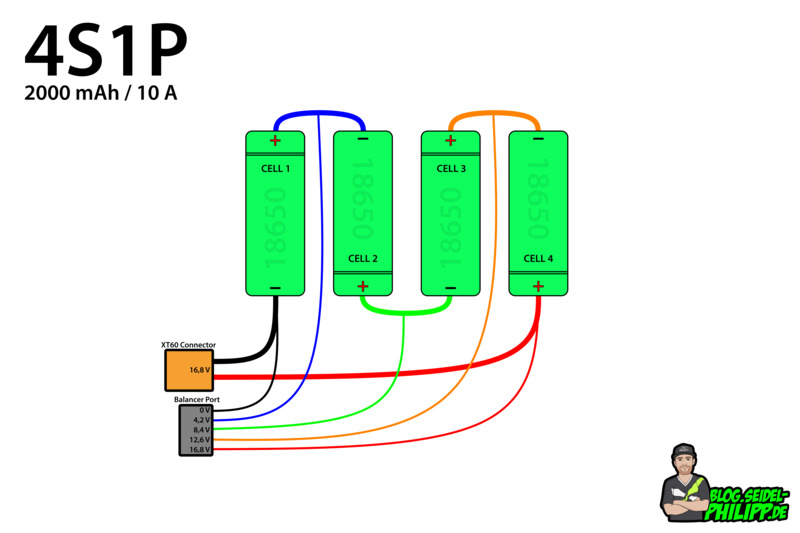 With these cables, all serially switched cells are connected to each other. Plus is always connected to minus of the next cell. The top view shows how the cells are connected. The positive pole is located at the top left and the negative pole of the 3S pack at the bottom right. 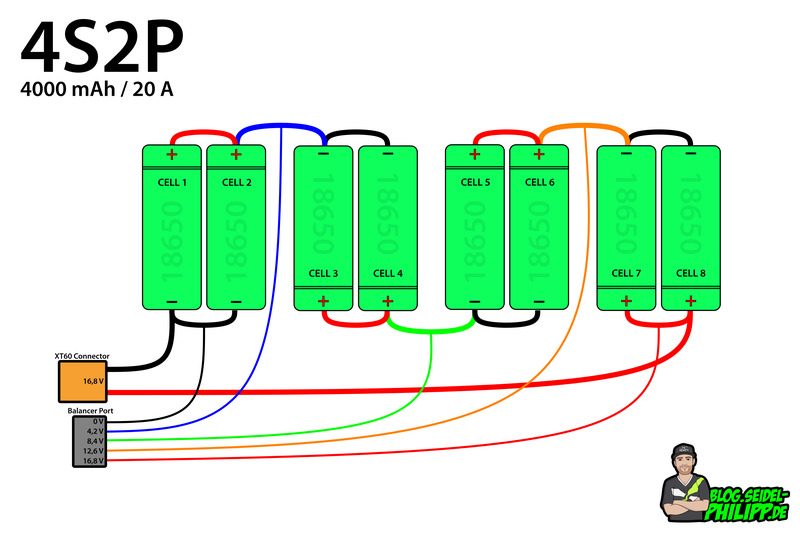 To increase or double the capacity, both 3S1P packages are soldered together in parallel. For this purpose, both positive and negative poles of each pack are connected. 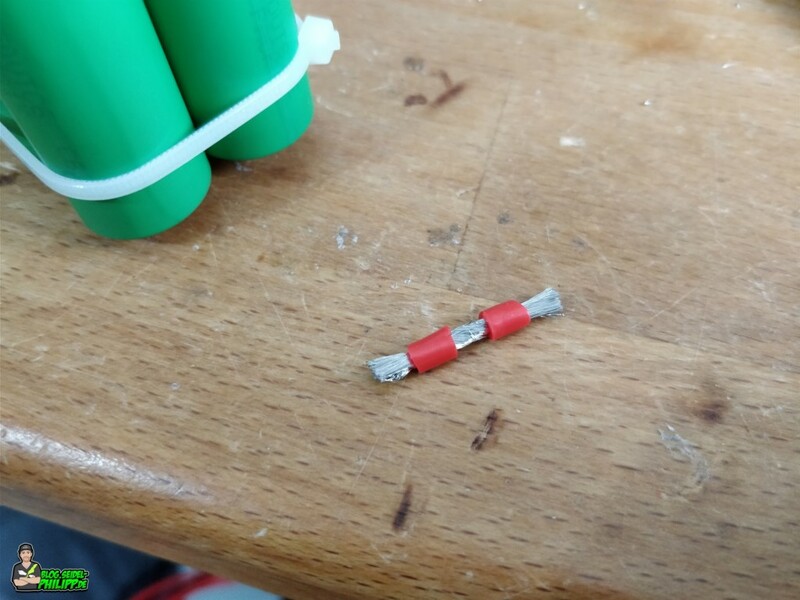 This cable is used to connect the cells perfectly. Remember to prepare all cables and surfaces with soldering tin beforehand. 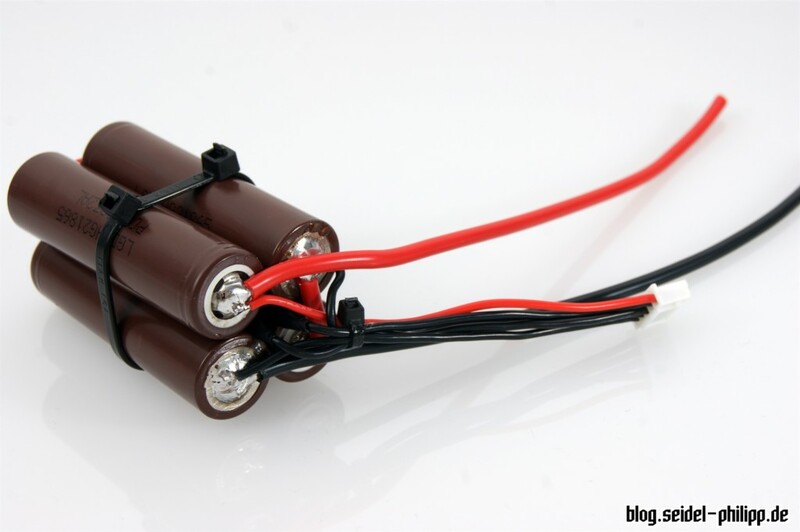 This makes soldering on the battery much easier, as the solder joint only needs to be heated. 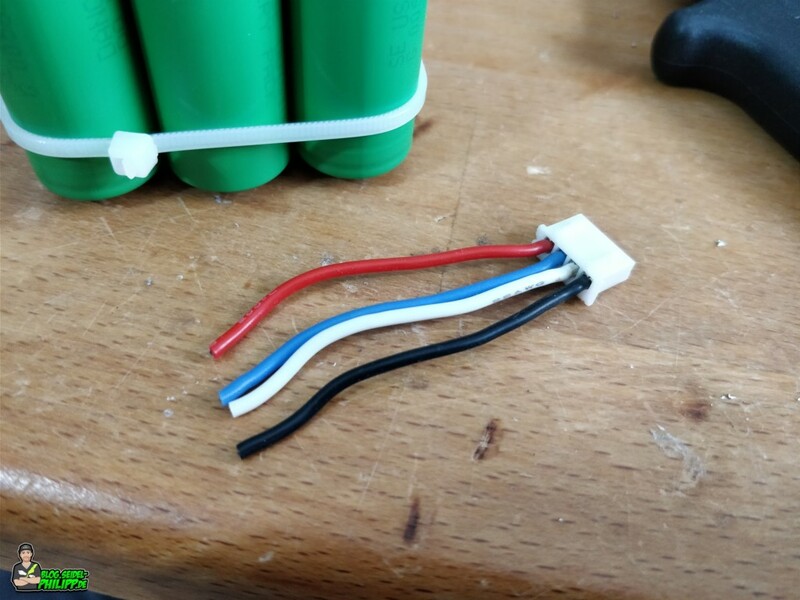 Here you can see the parallel connection on the minus side of the lithium-ion pack. Make sure that there are no soldered joints on the outside so that they cannot break if the drone/wing crashes. Your battery should now look like this. Both cables should point in one direction. Next, we will focus on the balancer connection. It is very important that the balancer cables are soldered correctly. There is a certain sequence that must be followed. 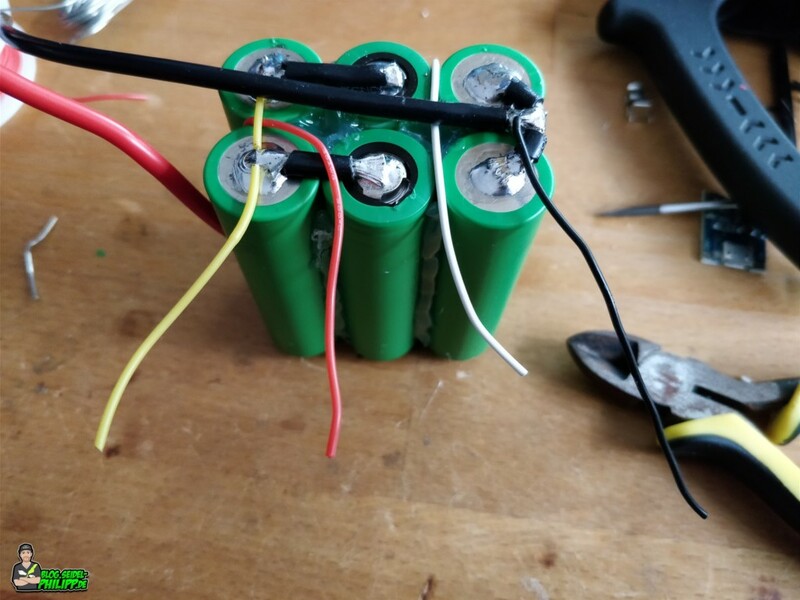 I use old balancer connections of defective batteries. 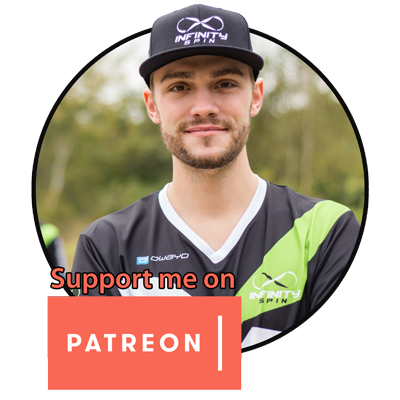 You will find the correct order at the beginning of this article! The white wire is soldered on the plus side of the cells that emit the main minus current. The yellow cable is soldered on the negative side of the cells which emit the main plus current. The last step is to solder another thin cable to the positive and negative terminal. 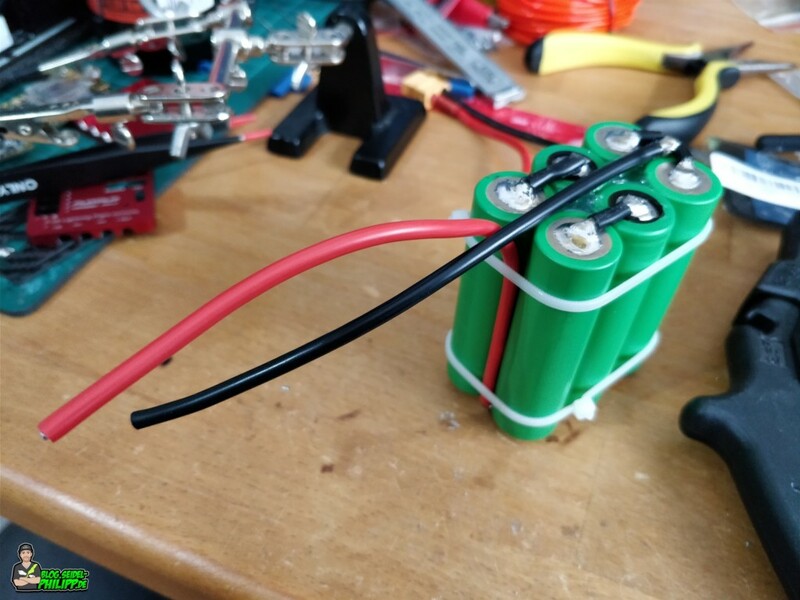 I have laid all the cables in one direction where the opening of the battery should be. Afterwards I shortened them all to the same length. Please don’t cut all cables at once, otherwise you will get a perfect short circuit with your scissors! The soldered balancer cable is now attached to the Minus strand with a cable tie. This serves as a strain relief. Now we can pack the cells. For this purpose, we stick several layers of thick insulating tape over the soldered joints on both sides. On the upper side we also stick some layers of insulating tape over the contacts. 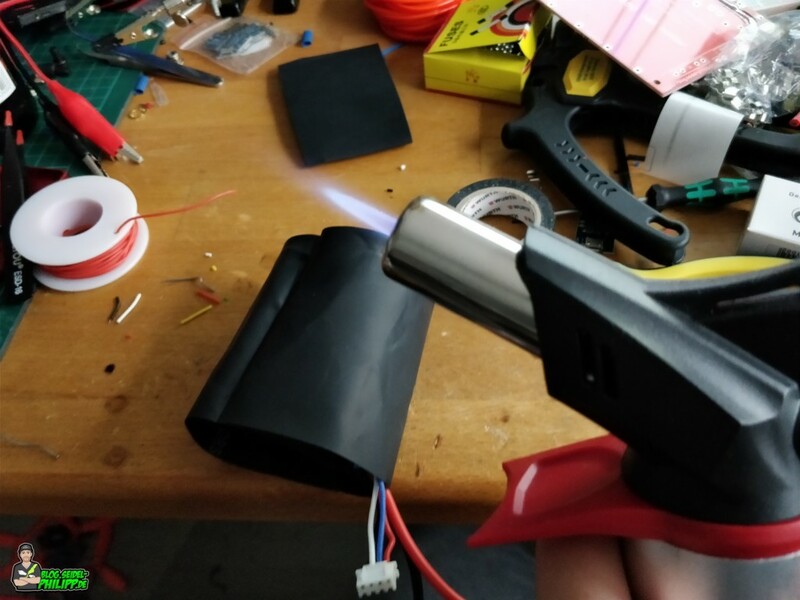 Now we put the battery into a large heat shrink tube and heat it so that it closes perfectly around the cells. I recommend you to use a hot air blower. 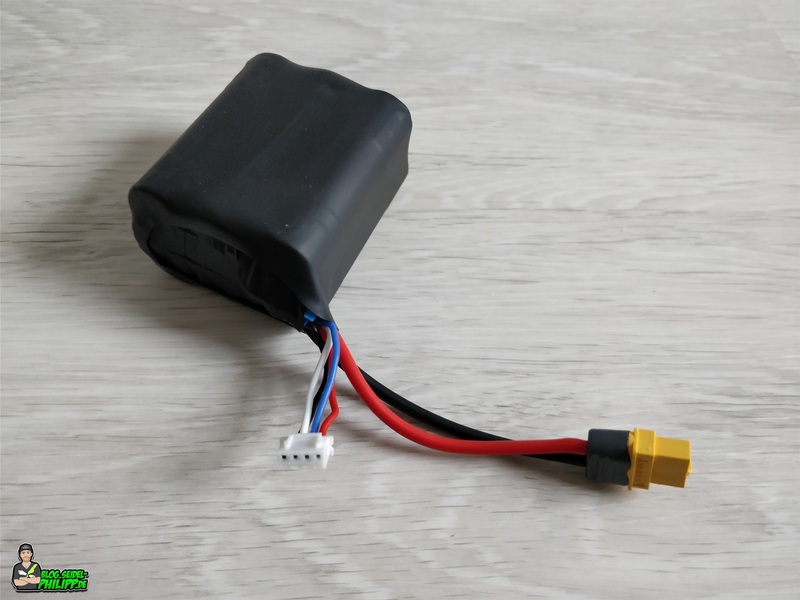 I decided to use the XT60 connector from AMASS because it has a plastic protective cap and you don’t have to use a shrink tubing. 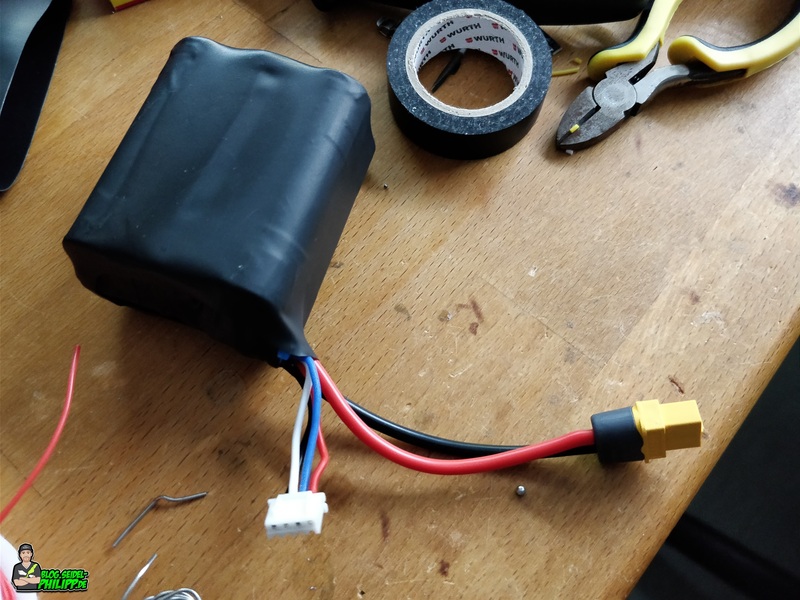 Now the battery is ready and can be used! 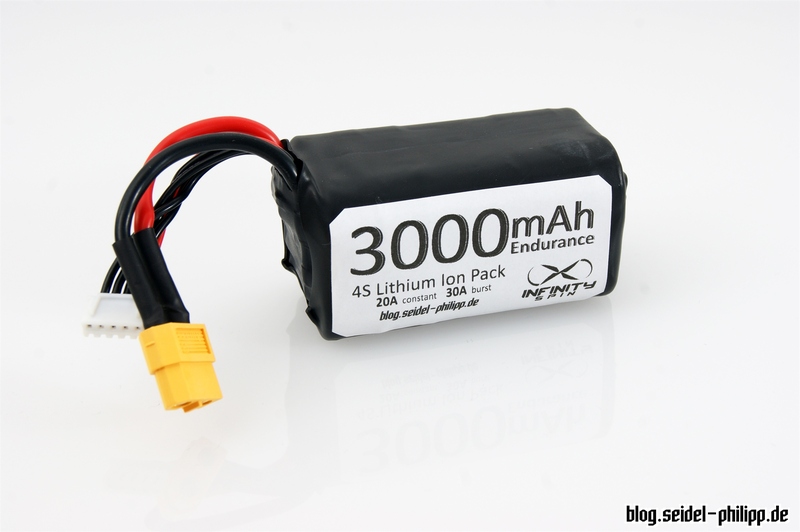 The weight is impressive, the perfect LongRange Lithium Ion Battery! 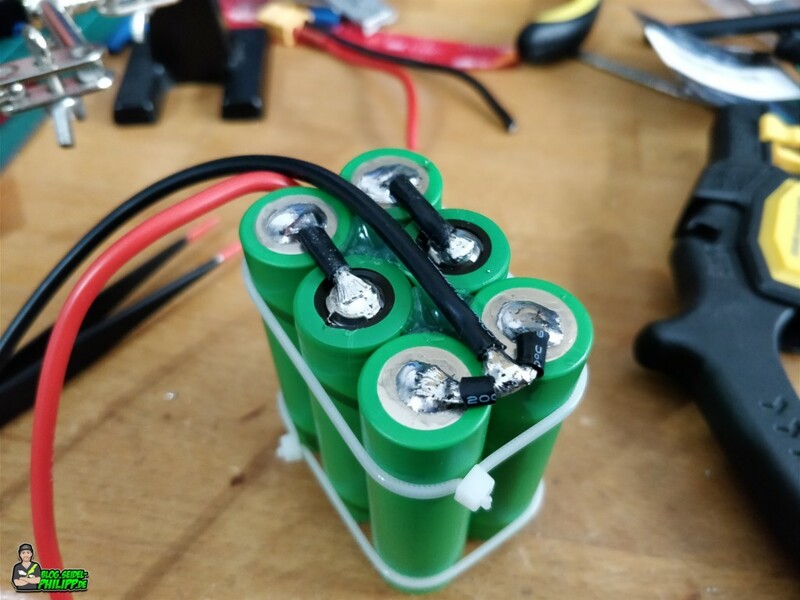 Here are some photos of my 4S Lithium Ion Battery, which I built first! 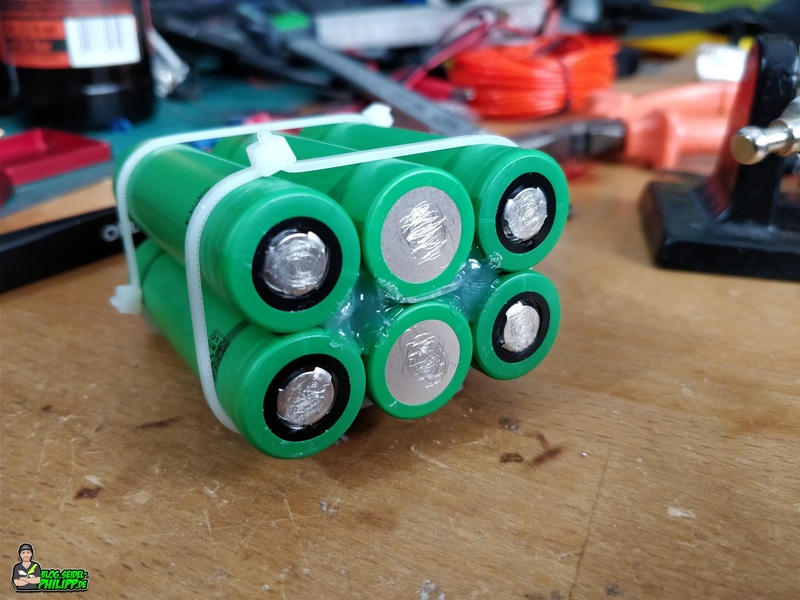 Which are best of the best 18650 to build long range battery for 5 inch quad? probably the Sanyo/Panasonic NCR18650GA. But keep an eye on your current draw! 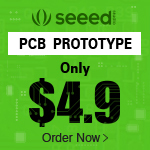 Ist es nicht besser mit ein Protection Board modul? nein das ist nicht notwendig, wie beim LiPo auch keines verbaut ist. Wenn man sich im empfohlenen Spannungsbereich der LiIon Zellen bewegt, sind die genau so sicher wie LiPos! 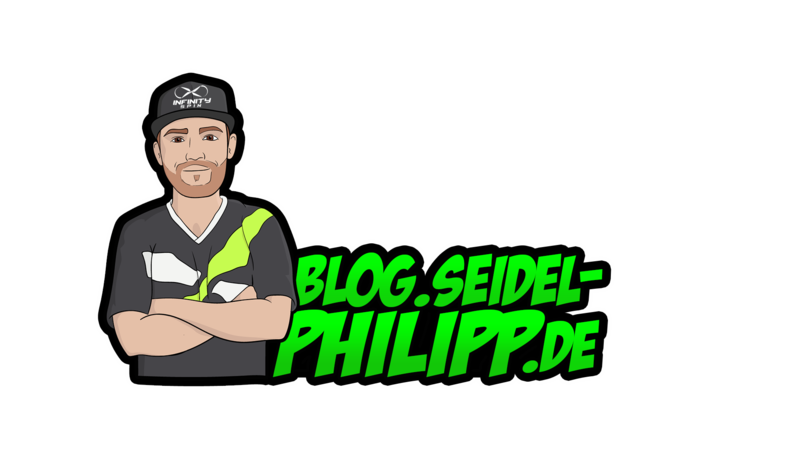 Hi Philipp, what about the Samsung 30Q? Have you ever try them? No, personally I have not tested them yet! Kleiner Tipp: Wenn der Akku, wie in unserem Hobby üblich, unter hoher Stromentnahme steht, so kann Erfahrungsgemäß der Schrumpfschlauch der Zellen durch die hohen Temperaturen aufreissen. Um Kurzschlüsse zu vermeiden, verwende ich daher immer ein dünnes Stück Pappe zwischen den Zellen. Fixiert wird es mit dünnflüssigem Sekundenkleber. Aktivator drauf sprühen – fertig! Geht außerdem schneller als die Heißkleber Methode.